The Kovcheg Ecological Village is in Kaluga region in 14 kilometres from the road "Malojaroslaves- Medyne". The initiative group of the Ecological Village started work in 2001 (7 years ago). The general house and the first houses have been constructed in 2002 and "oldest" residents live on the earth 6 years. 79 one-hectare's sites of the Ecological Village are allocated on 120 hectares. About 40 families has moved on permanent residence for the moment (more than 110 persons with children), more than 90 houses and constructions brought under a roof. Almost all houses (except ordered log-houses) were under construction by inhabitants of the Ark. Experience of construction for log-houses, bar-shaped houses, panel board houses, frame houses, and also frame houses from a lung adobe is saved up. From 2007 primary school was founded in the ecovillage. Big "Common house", wood workshop, power-saw bench, more then 10 saunas including the families sauna on cold spring small river was constructed. More than 16 families keep bees. 11 draw-wells was dug, about 15 ponds was designed. Ecovillage engaged in improving the surrounding forests biodiversity (planted oaks, limes, cedars, etc.) as well as the cleansing of the territories savagely cut in the vicinity. We have experience in logging breaks and stopping. Also ecovillage organize a three-day seminars for people interested in the following topics: house construction, beekeeping and ecovillage life experience. 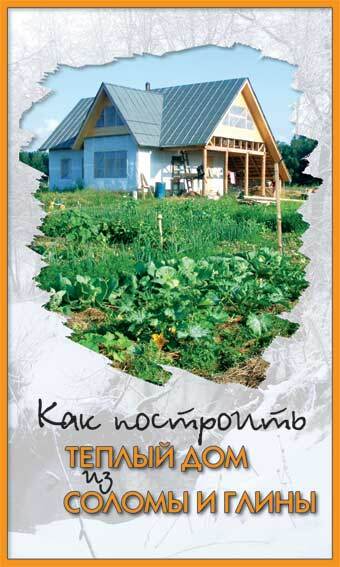 We are filmed several movies ("How to build a warm house of clay and straw," "Construction of timber houses ...", "The third meeting of the living ecovillages" and others), also video "Seminar of Kovcheg ecovillage in St. Petersburg" with 7 hours of our experience available for free from site. More than 2 years ago ecovillage choir was started, which sing only permanent residents. In the village were held three meeting of existing living ecovillages (in 2008 and 2009 - international meetings). 25 ecovillages take part in the last meeting. Attention! Since September 2008 ecovillage visiting is restricted! Please come only on guest days (held quarterly) or on a seminars or at the invitation of a particular settler who can give you enough attention and answer all your questions. Eco-community "Kovcheg" was started in 2001 (with land allocation - on big field with forest 3 sides around). First common house (10x12m) and first private houses was build during summer 2002. Totally we have 120 hectares and 80 family parts. Now we have 79 families (about 200 people). We have strict rules for new members and 75% of existent members must want to see new family as there neighbors (so we have very good community). During last summer about 200 people was on land, during winter 2008-2009 40 families (~120 people - many children) live permanently. From last 6 years we build about 12-20 houses per year (from foundation to roof), so now we have about 100 houses under roof (from them 61 plots have houses ready to Russian winter). We have our own power-saw bench and wood workshop (and also two wheeled tractors) that helps us to organize houses construction. We use pretty different technologies in houses creation - from our own "warm light adobe" technology and up to aerated (foamed) concrete. Different forms, different construction and etc. Most of them (even dwelling houses) are in the middle of construction. In 2006 we also prepare clip about our ecovillage and prepare materials from several ecovillages for video-clip about ecovillages movement in Russia.